The children in J6 at Highclare Junior Schools in Sutton Coldfield have shown themselves to be entrepreneurs of the future, and raised a fantastic sum of over £1,800 for their school charity, African Space Trust. The events held over the last week have proved to be very popular with staff and parents and were greatly improved by the glorious weather! 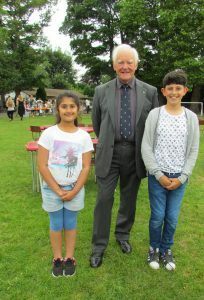 The events were planned and executed solely by the children who made items to sell on their stalls and organised traditional games that were enjoyed by fellow pupils. 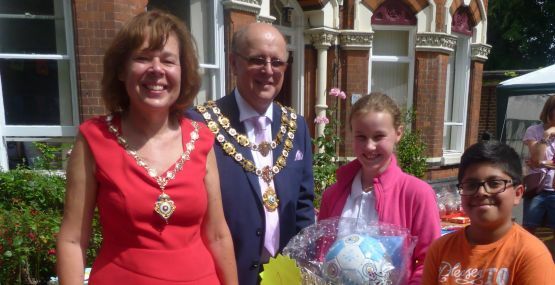 J6 were pleased to welcome parents, friends and the Mayor and Mayoress and Deputy Mayor of Royal Sutton Coldfield to afternoon tea which they hosted as part of this fun day. Guests enjoyed the weather and their afternoon tea and homemade cakes. 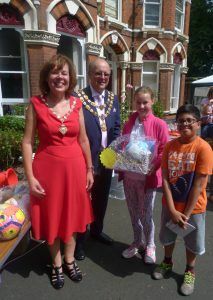 The highlight of the each afternoon was the exciting raffle of prizes, some of which had been donated by football clubs and businesses after the children contacted them.